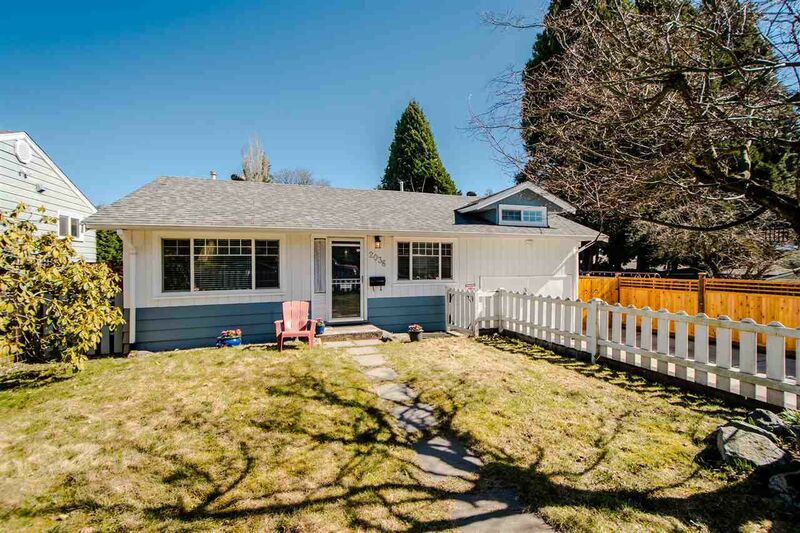 Cute and cozy, affordable, partially updated, 2 bedroom home on a 5,592 square foot fenced lot must be seen to appreciate. Recent updates include: vinyl windows, hot water tank, updated bathroom with grab bars, new tub and tile tub surround, laminate floors in the kitchen, dining room and master bedroom, refinished hardwood floors in living room, extra insulation in ceiling, crawl space insulated, plumbing supply lines replaced and shut offs installed under the sinks, roof replaced approx. 5 years ago, newer concrete driveway and fence. Entertaining is easy in the living room and adjoining formal dining room. Updated 4 piece bathroom. 2 bedrooms including spacious master bedroom. Single garage and garden shed. This cute and cozy home with many updates is a must see. Designated 'Urban 2-Ground Oriented' in OCP so great investment potential as well.